The largest concentration of Uighurs pronounced as ‘wee-gurs’ live in China’s north western Xinjiang province, which was an independent nation state until the communists took power in 1949. 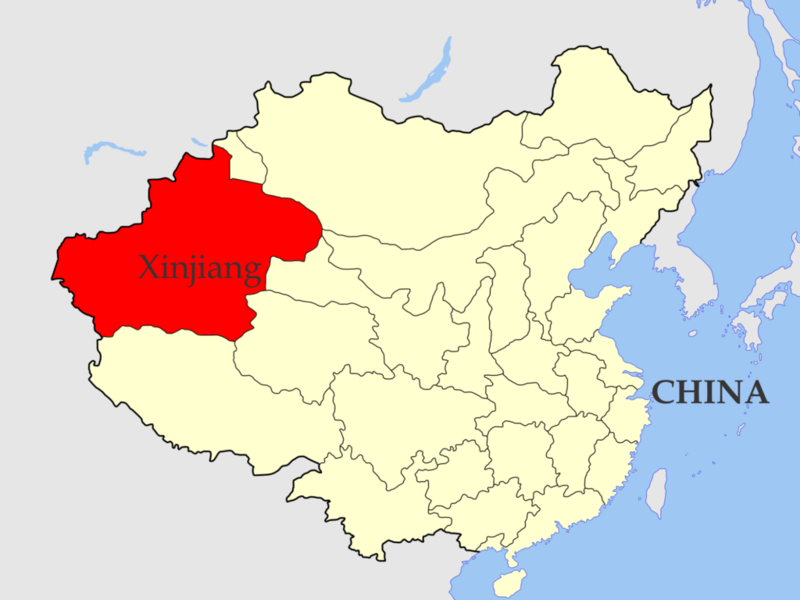 Xinjiang is home to the Turkic-speaking Muslim Uighur minority who make up about half of the 26 million population. The area, known affectionately as East Turkistan has become a mass detention camp for Muslims living in the region. Muslims in the Xinjiang have preserved their own language, religion and culture, despite decades of harsh policies designed to strip them of the identity and religion. In August 2018, a UN committee heard that up to one million Uighur Muslims and other Muslim groups could be detained in the western Xinjiang region, where they’re said to be undergoing “re-education” programmes. Human Rights Watch says people in camps are made to learn Mandarin Chinese, compelled to renounce their faith, forced to take part in indoctrination-like activities such as singing communist songs, learning the history of communist China and praising the president. China has not only shut down mosques in the area, but also has banned all Islamic texts, including the Qur’an, while Muslim sounding names are also outlawed, as are beards and clothing that suggest adherence to the Islamic faith. There is also evidence that the government is placing the children of detainees and exiles into dozens of orphanages across Xinjiang. The orphanages are the latest example of how China is systematically distancing young Muslims in Xinjiang from their families and culture. China denies the presence of internment camps but says people in Xinjiang are receiving “vocational training meant to purge them from the “three evil forces” of terrorism, extremism and separatism. The Chinese government has sought to portray separatist unrest in Xinjiang as an Islamist-jihadist problem, jumping on the 9/11 bandwagon to justify their repressive policies. If the evidence of the ethnic concentration camps were a fabrication, China should open the region for journalists and international organizations to visit the supposedly benign “re-education” camps. The United Nations has lost its moral compass; the Muslim world remains rudderless… the vast majority of countries remain silent simply because of China’s enormous economic influence across the Middle East, Africa and Asia. China has become too powerful for the world to protest its human rights abuses.